The Cathedral of Palermo is a treasure of the Norman architecture in Sicily. 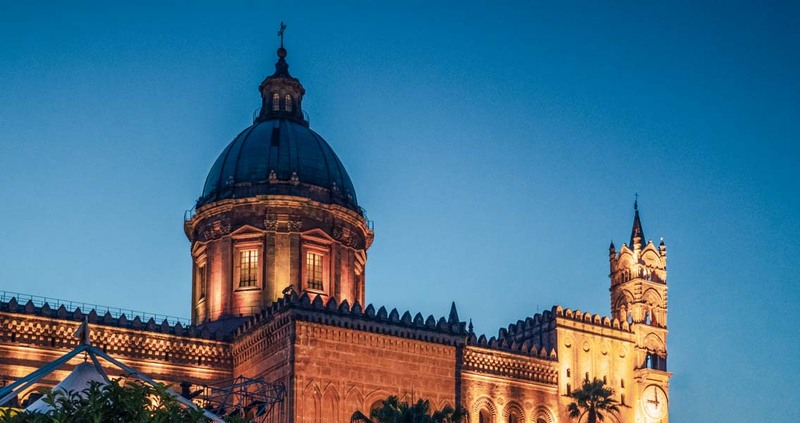 The Cathedral of Palermo is one of the most important architectural monuments in Sicily. It was built in 1184 by the Normans as a re-converted Christian church on the site of a Muslim Mosque that was previously built over a Christian basilica. This Cathedral is a must see when visiting Palermo! The reason for building this cathedral was to surpass in beauty the Cathedral of Monreale so you can imagine how architectural exaggeration was involved due to the competitiveness. What we see today is the result of a stratification of styles over the centuries from Gothic to Medieval, Arabic (an actual passage from the Koran is still engraved on one of the columns) to Neoclassical. 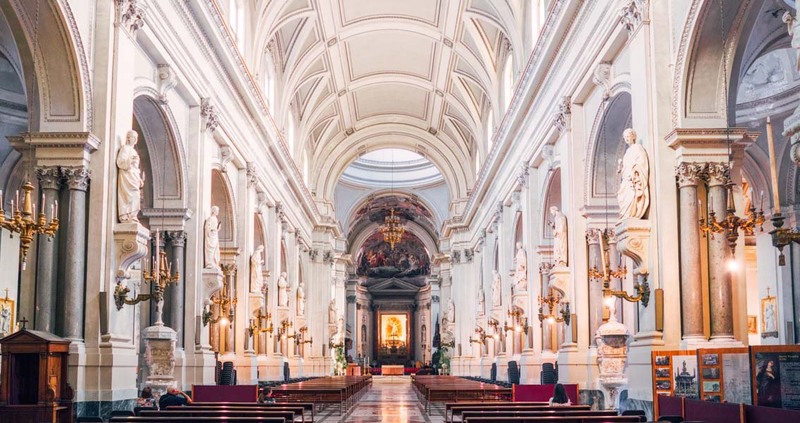 The impressive exterior builds up high expectations for the interior which is just as lovely but not as rich as other sites around Palermo covered in gold. Explore the diversity of the art inside for what it is and you will be assured a pleasant visit. The Church itself is free to enter to visit while there are other parts of the Cathedral that can only be visited with a ticket. Treasury of the Cathedral of Palermo: if you want to see precious gold , silver and enamelled objects. Terraces : if you want to see the Cathedral with its lovely green domes and Palermo from the top. Crypts : if you want to see highly decorated marble sculptured sarcophagi. Free for visiting only the church/ €7.00 for the Tombs, Treasury, Crypts and Terraces all together otherwise you can pay each one separately if you don’t want to see them all. Don’t go on a Sunday if you want to see all the different sites as most of them are closed, or go on Sunday if you only want to see the church and attend the mass.